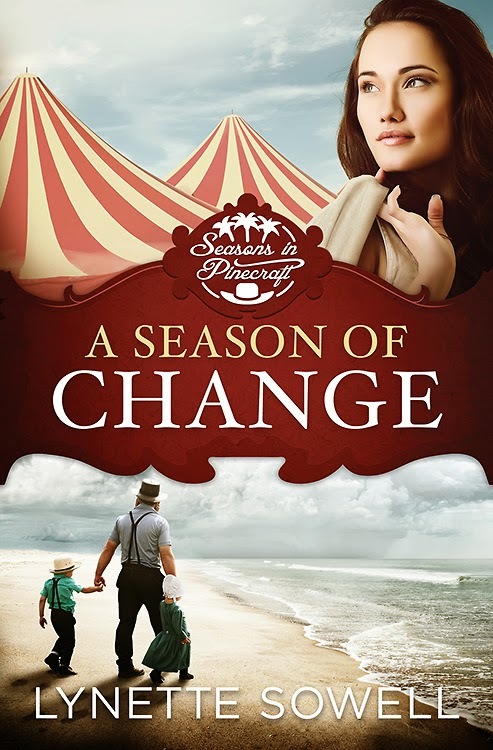 Can a past filled with loss lead to a new season of life? Stranded at a Sarasota hospital at the bedside of his ailing daughter, Amish widower Jacob Miller is wary of his unfamiliar surroundings—including the strange curiosity of Englischer Natalie Bennett. Natalie, an aerial silks artist whose career in the circus ended before it began, has just uncovered a secret her mother kept hidden for years. Her mom—or rather, mamm—was once Amish. A hundred questions suddenly surface. Why did Natalie’s mother keep this secret for so long? Does Natalie still have Amish relatives? How can she learn more about her heritage? Can Jacob trust Natalie’s piqued interest in his family and their simple ways, or will their clashing cultures thwart their hopes for finding the love of a family? Another day, another book! I love how much reading I've been doing lately. This book, while very well written, somehow left me feeling like something was missing. The characters are charming, well rounded and relatable. I think that the problem comes that there wasn't quite enough angst. Yes, bad things happened but the book just kept cruising along. The ending seemed almost too easy. That being said, this book is certainly still worth picking up and giving it a read. It's very enjoyable. So enjoyable that I finished it over an 18 hour period (of reading on and off! ).